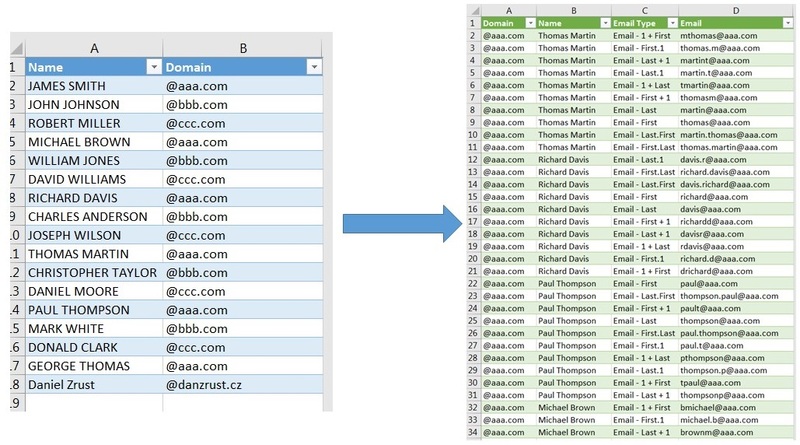 Trying to create X combinations of possible email addresses when you know names & domains? Generate email combinations with one click! Here is a FREE tool for that. You can use it e.g. for building your newsletter lists or customer match email lists. You need Excel 2016 with built-in Get & Transform features or Excel 2013 with Power Query extension installed. Download the tool for FREE here: https://goo.gl/uTWkla (click the arrow at the top right corner on the following page).